As always, I'll be at the BOOM! 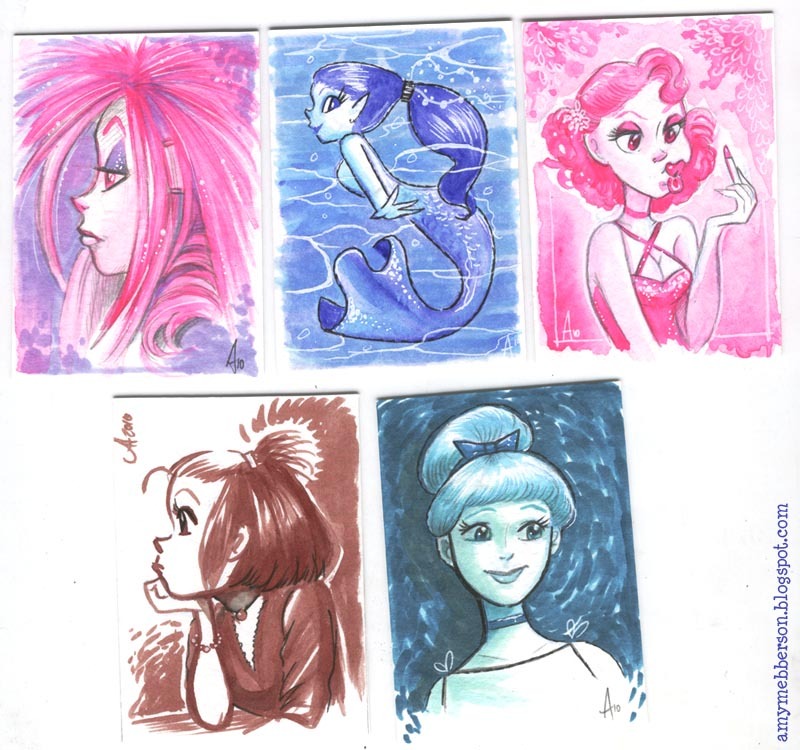 kids booth where fellow artist Travis Hill and I will be sketch-covering all weekend long on Cars, Muppet Show and (possibly) Toy Story. 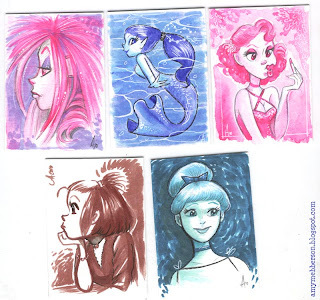 In the meantime, here's some new sketch cards playing around with some luscious (bright!) Holbein watercolours.